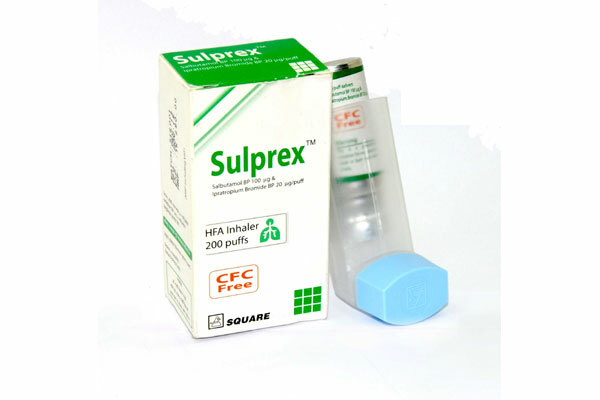 SulprexTM Inhalation Aerosol is indicated for use in patients with chronic obstructive pulmonary disease (COPD) & asthma on a regular aerosol bronchodilator who continue to have evidence of bronchospasm and who require a second bronchodilator. The dose of SulprexTM Inhalation Aerosol is two inhalations four times a day. Patients may take additional inhalations as required; however, the total number of Inhalations should not exceed 12 in 24 hours.